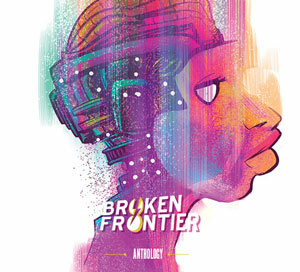 BROKEN FRONTIER: Although we’re focusing on your small press and webcomics output in this interview your work reaches far beyond that arena as a writer on the Wallace & Gromit newspaper strip and projects for Titan Comics. Can you give us some background on your route into the world of sequential art to date and your wider comics work outside self-publishing? RICHY K. CHANDLER: I remember drawing and photocopying a comic, then selling it at a junior school fete, so self-publishing came long before professional comic work. 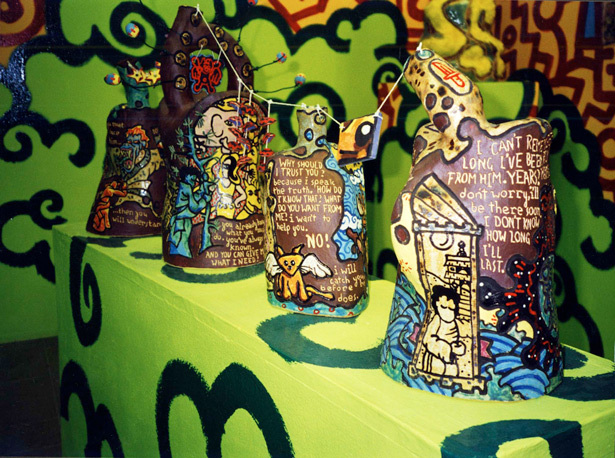 Focusing on music and bands distracted me for a few years but I ended up doing a degree in Ceramics at Camberwell College of Arts. There, I found myself making three dimensional comics out of clay, so there was definitely still an interest in sequential art. 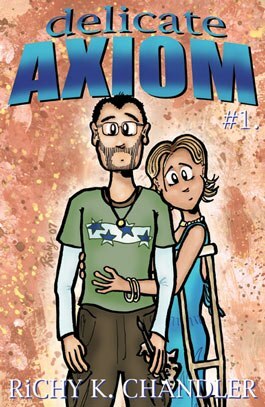 I came across the world of small press comics through Comica, and in 2007 self-published a fantasy drama comic called Delicate Axiom. I hope I’ve improved upon it in subsequent work, but it was certainly helpful in learning the process of completing, printing and self-publishing a comic. I showed it to some folks from Titan at the Bristol Comic Expo, who suggested I pitch script ideas for their Wallace & Gromit comic. I think this was their polite way of saying not to bother pitching any art to them, though they have asked since then I’m relieved to say! I was determined to get at least one story idea accepted and after many attempts, managed it. This led to writing scripts for hundreds of Wallace & Gromit newspaper strips. I‘ve also written for Titan’s adaptations of Adventure Time, Almost Naked Animals and Plants vs Zombies. If I’m lucky, I can sometimes work comics into the illustration jobs I get too, doing creative scribing or infographics. BF: You formed Tempo Lush as an umbrella brand for both your small press publishing and your design and illustration work. How would you describe the Tempo Lush “mission statement” so to speak? CHANDLER: Simone Lia and Tom Gauld were my strongest influences when I got into small press. They had their publishing brand, Cabanon Press, so I felt I had to have my own. In those early days, I also found it more natural to promote my work using something other than my own name. Saying “Check out the amazing new comic from Tempo Lush!” was easier to say than “Check out the amazing new comic from me!” If Tempo Lush had a mission statement, I suppose it would to create things with love and care, which deliver a bit more than they promise. BF: I reviewed the first print collection of your Lucy the Octopus collection earlier this summer at BF. Could you tell us a little about the strip’s premise and structure for those unfamiliar with Lucy and her colourful cast? 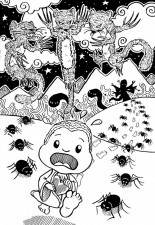 Lucy the Octopus is a humour strip that spotlights peer pressure and bullying through the life of Lucy, a largely ostracised teenager in a town populated by octopuses. 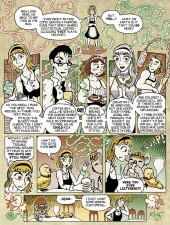 While a victim, Lucy is still very much the heroine of the strip, and one that I hope readers root for. Arguably, one of her strengths is that she seems unable to take her suffering out on anyone else. Instead she channels it into her guitar playing, a cathartic source of comfort and escapism. Lucy seems to be at the bottom of the pecking order in both her school and family. As the strip progresses I will uncover how more characters are struggling to find their own place in the world. Sandra, for example, is a girl who was incredibly popular at her previous school. Upon moving schools and being seen chatting to Lucy, she loses all her coolness in the eyes of her peers. She becomes desperate to be one with the popular crowd again, despite them treating her terribly and her not even liking them. Like many of the characters, Lucy’s four siblings each represent a different form of cruelty for Lucy to contend with. Justin takes extreme pleasure at Lucy’s torment, Larry shows cold indifference, Patricia is out and out hostile while Yasmin plays with Lucy’s affection, seemingly friendly one minute then putting her down or betraying her sister the next. As for the structure, I usually work in a 3-4 panel format much like a traditional newspaper strip. I’m conscious to see what can be done within these space restrictions. I enjoy using different mediums, playing with panel layouts or looking for new ways of visual storytelling. Anything to keep things fresh, as long as it serves the narrative or a joke. BF: Lucy has a pretty hard time in the strip. While her world is a fantastical one, those themes of the strip – alienation, loneliness, a desire to fit in, the cruelty of peers – will be familiar to all of us. What prompted the creation of this little outcast cephalopod? CHANDLER: Lucy’s creation was fairly organic. Amongst hundreds of quick animal doodles I’ve done over the years, Lucy seemed to be a keeper. Her personality developed as an opportunity to vent some of my own school day issues. Working on a Lucy mini comic, I realised the character had scope for further exploration. This ultimately transpired as the ongoing webcomic. Certain aspects of Lucy’s adolescence were similar to my own, but it’s far from autobiographical. I’m keen to keep the character relatable, or at least sympathetic, to as many readers as possible. BF: Who would you count as your influences from both within and outside the world of comics? And, given the nature of your work, are there any creators/series from the history of newspaper strips that acted as a particular inspiration? 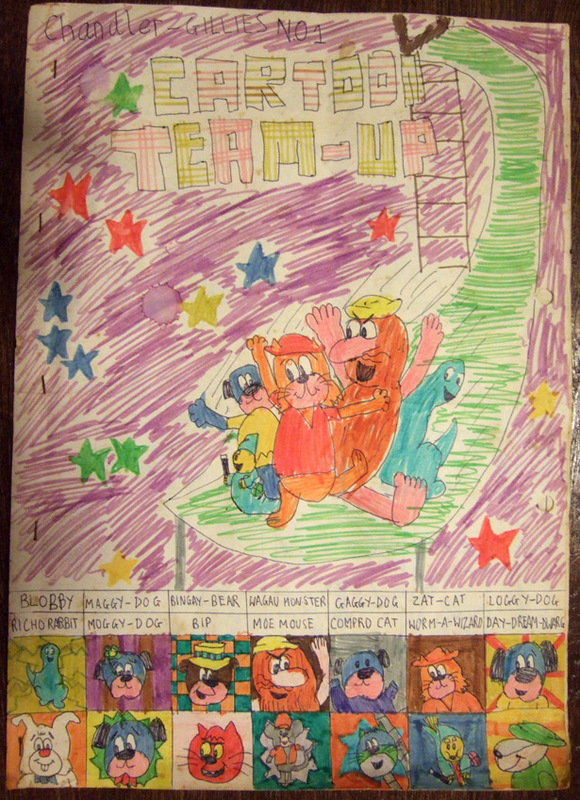 I recently came across some photos of a comic I made at the age of 9 (below right!). 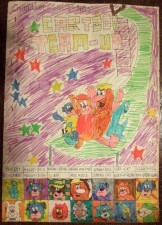 It was full of Hanna-Barbera character clones, which is definitely an indication of early influences. Alongside Disney cartoons these were most likely what made me want to create characters as a child. Dr Seuss, Marvel Comics, Rumiko Takahashi (Ranma, Maison Ikkoku), Pixar and Studio Ghibli have all made a huge impression on me. More recently Cabanon Press, as I mentioned, David Mack (Kabuki), Shaun Tan (The Arrival) and Chris Sanders (Lilo & Stitch, Kiskaloo) have left a mark. Increasingly I realise the impact that comedy writers and performers have had on my work. Listening to Steve Martin, Bill Cosby, Albert Brooks, Bob Newhart, Jerry Seinfeld, Eddie Izzard or Ellen DeGeneres, you can learn so much about storytelling, looking at ideas from obscure angles, and subverting people’s expectations. Joss Whedon’s Buffy the Vampire Slayer is a huge influence in general, but perhaps surprisingly on Lucy the Octopus in particular. The premise of Buffy is a pretty young girl who would typically be dismissed as little more than that (particularly in the world of horror films), who goes on to prove that her value is so much greater. Likewise, Lucy is dismissed by most of the folk she encounters and struggles for every ounce of acceptance of her worth. If you watch Buffy in Season One, each character is a very different person to those at the end of the seven seasons. Unlike most strips (Gasoline Alley and a few exceptions aside), Lucy will also evolve as a character, learning to deal better with the situations she finds herself in. I love a whole range of newspaper strips but there are some in particular where I’m aware of a particular influence on Lucy. Tom Gauld’s Hunter & Painter had its own comedic rhythm and comfortably fitted many panels into a space that usually holds just three or four, George Herriman’s Krazy Kat also played with panel layouts and depicted fantastic landscapes, Charles Schulz’s Peanuts mixed darkness and melancholy with humour and accessibility, and Bill Watterson’s Calvin & Hobbes made virtually every moment funny or significant rather than just building up to a single punchline, plus had well earned moments of sweetness. BF: What I find extremely interesting about your comics is that you embrace some very diverse forms of presentation. Lucy the Octopus began as a regular webcomic but you’ve given us some incredibly tactile reading experiences as well like the Tempo Lush Square McBear minicomics set. Is there a style of publication you prefer working in? Or do you enjoy exploring the possibilities and potential of all methods of delivery? 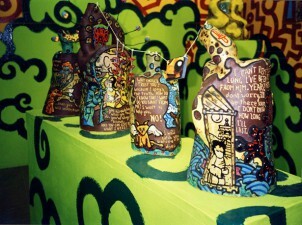 CHANDLER: The bear-shaped box set sums up that idea of aiming to deliver more than it promises. So many things have unnecessary packaging, as if having a large box will disguise a lack of quality or quantity of the contents. I wanted to make something that almost disguised how much it contained, leaving the reader pleasantly surprised at how much there was to read inside, and hopefully the quality of the experience too. I use different paper stocks for several of the comics in the bear box. This means the paper type itself can relate to the story printed on it, as with a story written in the style of a young girl’s homework printed on a page of lined paper. Another comic, told through the doodles and ramblings of a bitter business executive, is printed on a sheet from a yellow legal pad. These details make up a richer and more tangible reading experience but would be impractical and expensive to mass-produce. The downside as a creator is that years after completing the first box set I still have to print, cut out, fold, stick each one I can sell. It’s not as creative as producing something for the first time, but there’s a craft to it and I’m proud of each box set I make. Another comic I did recently with a physical element to it, was a black and white ink-brushed story in Mike Medaglia’s Wu Wei anthology (below right). Mike was after a panel that came out of the book as a kind of concertina. It was interesting to see how this physical structure impacted on the direction of my story. Even with regular stapled printed comics, the feel of the paper is important. That doesn’t mean I always want to best quality paper stock, just the right paper for the particular project. There’s still so much that can be done on a flat printed page and I’m in no way bored of this format. I definitely feel that there’s not enough time in one lifetime to do all the creative things I want to try. 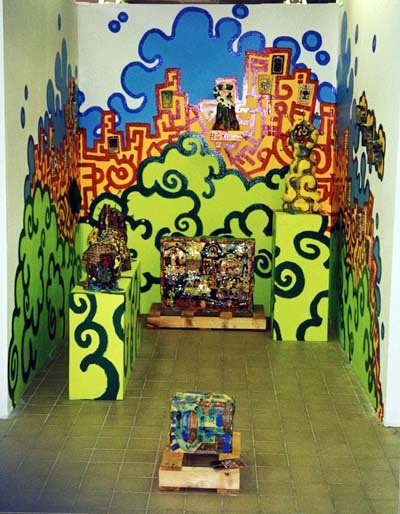 I’d love to do a large comic installation, play more with what webcomics can do, and continue with both flat and three dimensional paper comics. A pop-up comic would be amazing too! BF: Rosie & Jacinda (see trailer below) saw you partner Le Mime’s Zarina Liew on a story that combined the traditions of girl’s school stories with fantasy overtones. Zarina has a very distinctive flowing style influenced by both manga and her fashion illustration. Was this a project that was specifically originated with her visuals in mind? CHANDLER: Absolutely. I virtually always write to a particular artist’s strengths and interests. With Zarina, it was important to come up with something that complemented her unique style but still had space for my own personality. I asked her what kind of comic she wanted us to create and she was into the idea of a teenage comedy with fantasy elements. We’re both big fans of Rumiko Takahashi’s manga so that was a strong mutual reference point. I keep a folder of ideas ready to be developed into different stories and comics. This included ideas of Sleeping Beauty staying asleep for centuries longer than planned, and a school where weird, supernatural or magical things keep happening. I combined my two ideas into one and Zarina was keen to develop it. 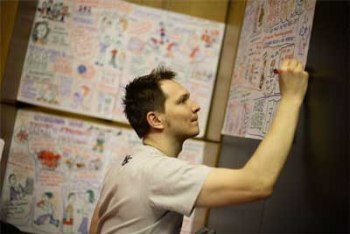 BF: Something you co-ordinated earlier this year was WASP – the Web Artist Swap Project – where a number of notable webcomic creators traded art duties on each other’s strips. What was the genesis of that rather fun project, and looking back on it now were there any creator’s takes on the characters that really surprised you? CHANDLER: I thought about asking Zarina if she wanted to swap art duties for one week of our strips as both a fun exercise and a bit of cross-promotion. Nervously (for fear of painful rejection), I asked comics creator Jade Sarson and comic and children’s book author David O’Connell if they wanted to join in. That got the ball rolling. The idea is far from original. Lots of creators do fanart versions of strips they like, or friendly takes on their friends’ comics. Even the big names of Scott Adams (Dilbert) and Stephen Pastis (Pearls Before Swine) swapped creator duties for a week or so a few years back. With WASP participants, there was a chance a complete stranger would be working on their strip. Personally, I wouldn’t want to see a strip with Lucy doing anything out of character like punching one of the cool kids at the school in retaliation. Feeling that most of the creators would feel equally protective over their strips and characters, I decided that writing duties and final say over how the art would look would belong to each of the strips’ original creators. Everyone did really strong work and seemed to approach the challenge in different ways. Sometimes characters would pop up in their collaborator’s strip, like with Louise Wei and David Hodgkinson’s Panda and Polar Bear appearing in Nich Angell’s Cat and Meringue. Naniiebim took the opportunity to write a gender swapped version of her manga, Mephistos. 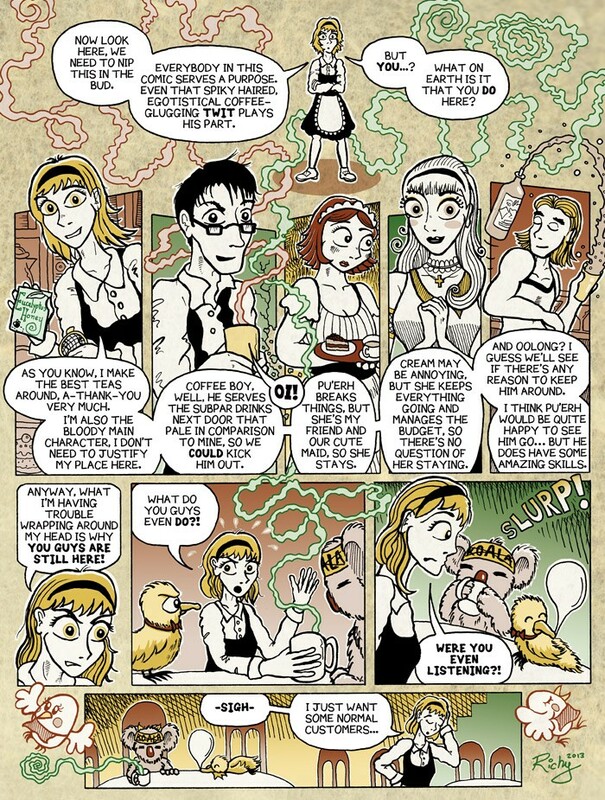 Personally I got a thrill getting to draw Jade’s Cafe Suada (above right) and seeing takes on Lucy by both David and Zarina, who drew Lucy as a human girl. BF: The obvious follow-up to that question, then, is would you all consider a WASP phase II? CHANDLER: I’m actually making plans right now for a WASP 2014. Several of this year’s creators will be returning and we’ll be opening it up to allow more webcomics and their makers to join in! BF: As someone who has been self-publishing for a number of years how would you describe the state of the ever burgeoning UK small press scene in 2013 compared to when you first entered it? CHANDLER: Comic conventions seem to be getting bigger and more numerous, but even beyond these usually annual gatherings, there are more and more opportunities to meet up with other creators. Certainly as a Londoner, there are so many monthly comic meet-ups it feels like you can lead a pretty active social life going to comic events alone. 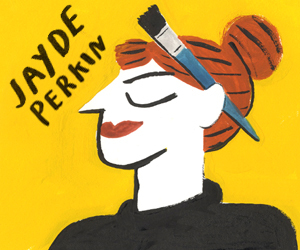 I’ve really enjoyed going to Laydeez Do Comics, Gosh!p, Process, Comica Social Club and WIP, and there are plenty I’ve yet to try. To me, this number of events with readers and creators of small press attending, indicate a thriving interest in the field. The fact that so many of these groups are either new or expanding shows how it’s growing. It’s great that each of these groups have their own focus and purpose, showing the breadth of the small press world and where it overlaps with more largely produced comics. BF: It’s the obligatory end-of-interview question now so what are you working on at the moment? What can we look forward to from Tempo Lush in the immediate future? 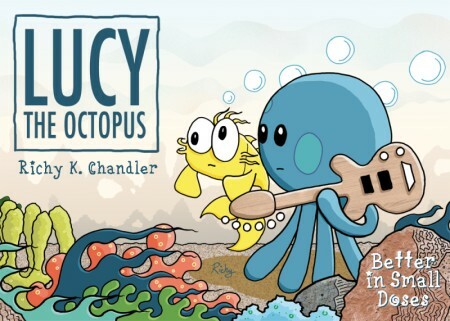 CHANDLER: Around November the second printed comic collection of Lucy the Octopus will be out, followed next year by an anthology called Tempo Lush Tales. This will feature comic stories written by me but drawn by a range of other fantastic artists including Francesca Cassavetti, Tim Hassan, Aaron Murphy and Van Nim. I’ve also written a children’s picture book with Sally-Anne Hickman currently working on the art. I’m in the very early stages of the script for more Rosie and Jacinda. Zarina will be providing art again but this time sharing those duties with myself plus some talented creators I’m very excited to be working with, Francesca Dare, Inko, Chie Kutsuwada and Jade Sarson. Finally, I’m looking forward to getting my teeth into a longer narrative. I’m deciding which of three graphic novel ideas to develop first! 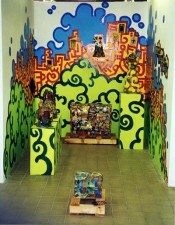 For more on Richy K. Chandler’s work check out the Tempo Lush website here. 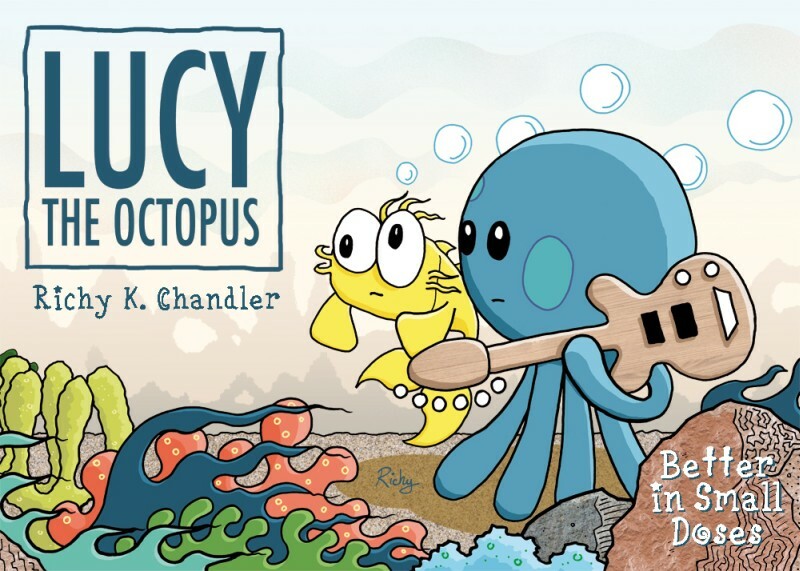 The print version of Lucy the Octopus is available from Richy’s online store here. You can also read Lucy’s adventures online here. Fantastic Spotlight, thank you both!